The Logan bootie is crafted in soft navy leather. 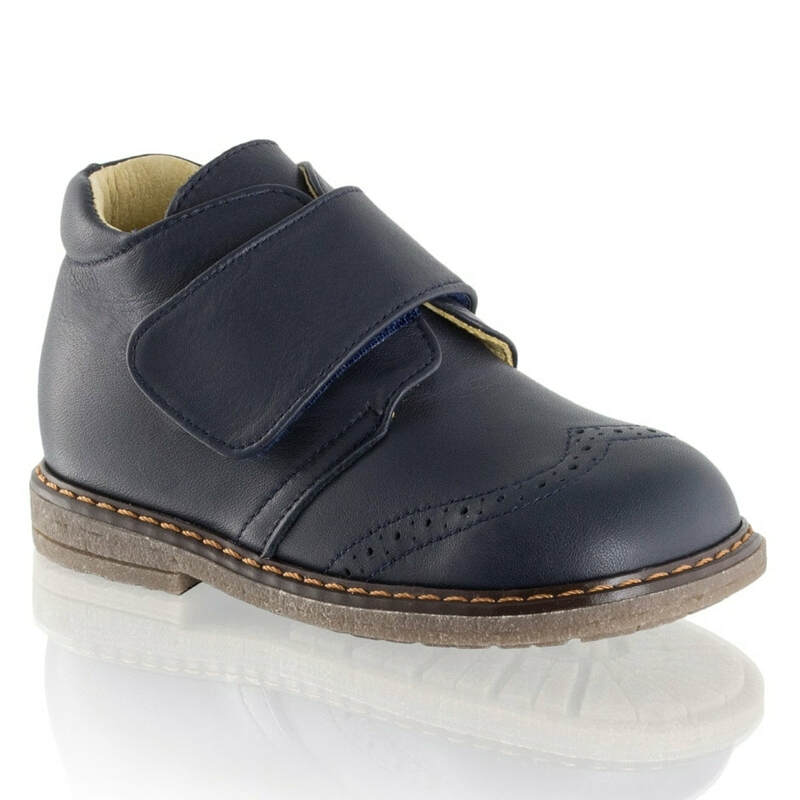 This little boot draws on British heritage and features punched broguing finished with an adjustable velcro strap. A durable rubber sole, padded ankle cuff and internal arch support provides comfort without compromising on style.